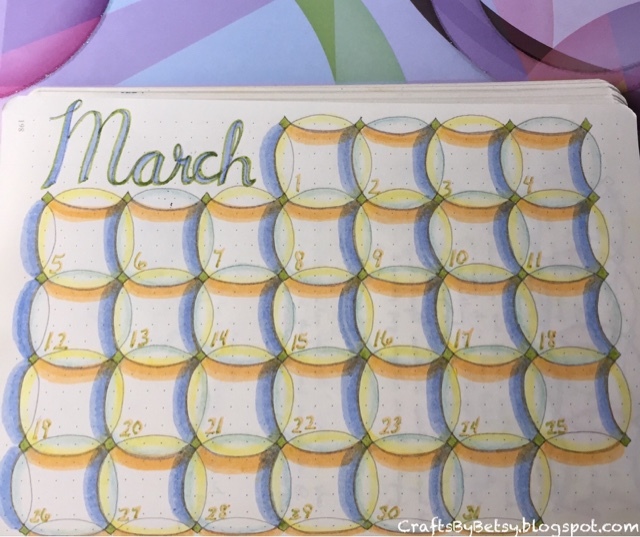 For Day 5 & 6 of the 30 day coloring challenge I worked on my Bullet journal March calendar. 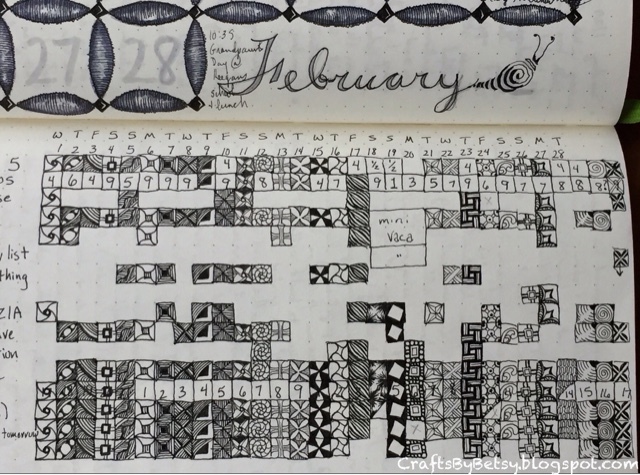 The Zentangle® pattern is Oof (same pattern as last month, but totally different look). I also thought I'd show you Reticula and Fragments practiced in last month's habit tracker. Pretty tiny, might need to adjust the size. I'm a little behind posting for the color challenge, so look for another post shortly.